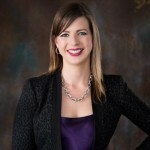 Heather Deyrieux, MSM, SPHR, SHRM-SCP is the Director of Strategic Development at the International Business Innovation Association (InBIA) the world’s leading organization advancing business incubation and entrepreneurship. Each year, the InBIA provides thousands of professionals with information, education, advocacy and networking resources to bring excellence to the process of assisting early-stage companies. Heather has over 9 years of experience in human resources with a concentration in recruitment and talent acquisition. Heather previously served as the 2011-2012 State Conference Chair, 2013 State Conference Director, 2014 Secretary and Conference Emcee, and 2015 Treasurer. Heather previously served as the 2011-2012 State Conference Chair, 2013 State Conference Director, 2014 Secretary and Conference Emcee, 2015 Treasurer and currently serves as the 2016 State Conference Director.